A/V or audio/visual includes equipment like projectors and monitors along with audio/visual enhancements like pre-recorded films or music. A/V contractors supply audio/visual services and equipment. Advance rates are the fees for advance orders. They usually contain discounts if paid in advance. Also known as advance warehouse, advance receiving is the location designated for receipt of freight shipments prior to the start of a show. The advance receiving location stores freight until time to ship it to the show. An agent is an authenticated representative possessing the correct credentials from the represented party. Air freight includes trade show supplies transported by airplane. An aisle is the pathway designed so visitors can move through a trade show easily. Aisle carpet is the carpet covering the aisles of trade shows. Aisle signs identify trade show aisles, usually by letter or number. Assembly, or installation, is the process of setting up a trade show exhibit. The people visiting a trade show not connected with the event. To back-light means setting up a light source from behind. The backwall is the set of panels are the back of a trade show exhibit. A backwall exhibit is set up back-to-back with the permanent wall of the trade show facility or against another trade show exhibit. A baffle, or partition wall, controls sound, light, traffic flow, and light. 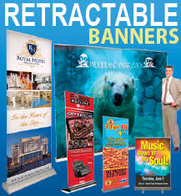 A banner is a suspended sign or decoration made of paper or fabric. Blanket wrap, or pad wrap, covers uncrated goods transported by van lines. Blueprint drawings illustrate the construction, layout, specifications, and space of a trade show booth. The boneyard is the area designed for storage of empty crates, contractor materials, and extra supplies. A certain set amount of exhibit space makes up the area of a booth. The booth number identifies an exhibitor’s booth. Booth personnel, or booth staffers, are the people who work at a trade show booth. The booth size is the measurement of floor space allotted for a trade show booth. Commonly, trade shows sell booths in 10′ X 10′ sections. The breakpoint is the level of discount given for volume orders. C.I.F. is a pricing term that indicates cost, insurance, and freight charges are included in the price. CAD is short for Computer-Aided Design. CAM is the abbreviation for Computer-Aided Manufacturing. A carpenter uncrates, installs, dismantles, and repacks exhibits and exhibition properties. Carpet tape is two-sided tape that securely sticks carpets to the floor. (1) Cartage is the freight transportation fee. (2) Cartage is also process of moving exhibits a short distance. The Certificate of Inspection certifies the good condition of merchandise prior to shipment. A cherry picker is a large piece of equipment capable of lifting people and goods up high. A Collective Agreement, or Labor Agreement or Union Contract, is a contract between a union and employers stating the terms for employment, the standing of the union, and the procedure for settling disputes that arise during the contract period. A column, or pillar, supports the roof or overhead structures at a trade show facility. Columns appear as a solid square on floor plans. A commercial invoice includes an itemized list of goods shipped, usually overseas. Common carriers are transportations companies that move people and goods. Common carriers usually only accept crated materials for trade shows. They usually consolidate the shipments of several customers into one shipment when bound for the identical destination. The consignee is the specific person to whom shippers should address shipments. Consignment involves the delivery of merchandise from a consignor, or exporter, to a consignee, or an agent, with the agreement that the consignee will sell the merchandise, receive a certain commission, and sent the net proceeds to the consignor. A consignor is the person sending freight or merchandise. Consolidation involves shipping freight bound for the same destination together by putting loads together before shipping. A construction drawing shows detailed diagrams and important instructions about a trade show building or exhibit. A corner booth is an exhibit space set up on a corner, having exposure on two aisles. A craftsperson, or laborer, is the worker available to provide labor and/or services at a trade show facility. A crating list includes a catalog of the inventory of a crate. The position of a cross-aisle is at a right angle to a main aisle. Cubic content is the measure of length by width by height. In regards to booth space, it is the placement of exhibit properties at the height of 8′ or more above the area leased. Cubic content is also a measurement often used by van lines in determining shipping costs. Specially designed and built, a custom exhibit meets the certain specialized needs of exhibitors. A licensed customhouse broker clears and enters goods through Customs. The CWT measurement for shipping exhibit materials includes rounding the total weight up to the next one-hundred pounds before dividing by the number one-hundred. For example, round 760 pounds up to 800 pounds and is then divided by 100 to equal a CWT of 8. D.O.T. is the abbreviation for the Department of Transportation. Also known as double time labor, D.T. labor includes overtime work charged at two times the regular rate. A damage report, submitted by an exhibitor to a drayage contractor or freight company, itemizes damage to shipped goods. Dead man is the term for a temporary post that helps to support the weight of an overhead structure during installation. When a worker cannot perform duties due to factors beyond his or her control it is called dead time. The declared value is the dollar value of the contents of a shipment. The decorator, also known as the official show contractor, is an individual or company usually contracted by show management to provide labor, signage, dismantling, drayage, installation, and decoration of exhibits at a trade show facility. The measurement of length by width by height divided by the number 194 determines the DIM weight for domestic shipments. The measurement of length by width by height divided by the number 166 determines the DIM weight for international shipments. The directory, sometimes called the program or on-site program, includes information about a trade show, including the floor plan, exhibitors, and schedule of events. Also known as take-down or teardown, to dismantle means to take apart an exhibit. A display building is an individual or company that fabricates trade show exhibits. Display rules and regulations are the construction specifications and rules for trade show exhibits endorsed by trade show industry associations. The dock is the loading platform for freight. A dolly is a wheeled platform helpful for moving heavy objects. A double-decker, also called a multiple story exhibit, is a two-story exhibit. A draper installs fabric, décor, and drapes. The process of drayage involves moving show materials from the shipping area to the booth area for set up and then back to the dock again at the end of a trade show. The drayage contractor is responsible for the process of drayage and handling exhibit material. To request drayage handling of exhibit materials, an exhibitor must fill out a drayage form. An easel is a three legged stand used for displaying objects. The electrical contractor is an individual or company hired by trade show management specifically for providing electrical services to the exhibitors. Elevations are the scaled drawings that depict the front and side views of a trade show exhibit. An end cap exhibit has aisles on three sides. 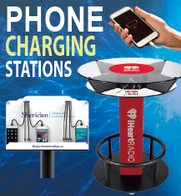 Event marketing involves promoting the trade show event to companies and customers. The exclusive contractor appointed by trade show management is the sole provider of services for the trade show. Renting the entire space of a carrier by one shipper constitutes exclusive use. The exhibit designer/producer is the individual or company responsible for the design and construction of exhibit booths. The exhibit directory provides a list of exhibitors and exhibit locations to exhibition attendees. The exhibit hall is the area of a trade show center where the booths are located. The exhibit manager is in charge of a trade show or exhibit program. The exhibitor appointed contractor, also called independent contractor, EAC, I & D, or I & D house, is a special contractor hired by an exhibitor to carry out services independent of trade show appointed contractors. The exhibitor services manual, also called the ESM or exhibitor kit, contains the rules, regulations, and forms that relate to the trade show. Exporting means transporting goods to a different country for sale. An export broker is the individual or company that, for a fee, brings buyers and sellers together. Export management companies transact exporting for a fee. Export merchants buy products from manufacturers and then repackage the same merchandise for resale under its name. Export trading companies buy foreign merchandise to resell in its local market. See the term Show Manager. Exposition rules are the guidelines governing a trade show. Fabrication is another name for the constructing of an exhibit. FHC is an abbreviation for the term “fire hose cabinets” indicating the locations of fire hoses on floor plans. Fiber optics include cut glass fibers that effectively display colored lights. Fire exits provide emergency exits and must be clear of obstruction at trade shows. Fire lanes are aisles clear of obstructions that allow for emergency exit. Fire retardant materials are fire resistant, not fire proof. A floor manager is responsible for running the exhibition area. Floor marking is the system used for marking the location of booth spaces. A floor plan, or map, shows the locations and sizes of booths and trade show facilities. Floor ports are utility boxes in the floor that contain telephone, pumping, and electrical connections. Foam core is stiff foam board covered with heavy paper typically used for mounting art and signs. A folding display is a display board with connected side panels that open like a folder. Folding displays can be stacked to increase the height of the display. A forklift, or forktruck, is a vehicle for heavy loading, unloading, and transport. A four hour call is the minimum amount of work time for which a union worker must receive pay. The free trade zone is a port assigned by a government for processing the entry of duty-free and non-prohibited goods. Freight is the term used for the exhibit materials shipped for a trade show. The freight desk handles and processes inbound and outbound exhibit materials. The freight forwarder receives a fee for handling the export of shipments. Gangway is an international term also meaning aisle. GATT, also known as General Agreement on Tariffs and Trade, is a multilateral treaty developed to promote trade via tariff concessions and reduce the trade barriers between signatory countries. A graphic is a sort of photograph or artwork. A grid system includes a structural network of support systems and electrical conduits. A hall is a general name used for describing a trade show facility or an area of a trade show facility. A hand truck is a small hand vehicle for moving small loads. (1) A hard card is a work order requesting services or labor. (2) A hard card is also the drayage contractor’s record of shipments already shipped or received. A hard wire is an electrical connection. Hardwalls are exhibit walls made of solid material instead of fabric. 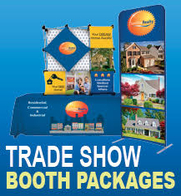 Headers are the signs or structures that run across the top of a booth or exhibit. High jackers are specialized pieces of equipment that can lift people up to a certain height. The term hire is used internationally to mean the renting of a product or service. In a contract, a hold harmless clause relieves a certain party of responsibility in case of legal claim made by another party. I&D is the abbreviation for “installation and dismantle,” and is also known as set up and take down. An independent contractor, also called an exhibitor appointed contractor or EAC, is an individual or company hired to carry out trade show services independent of regular trade show contractors. Infringement involves an exhibitor using floor space outside of the leased booth area without authorization. An exhibit set up in one continuous line along an aisle is called an in-line or linear display. Installation, also called set up and assembly, is the setting up of exhibits. Installation and dismantle, or I&D, is the process of setting up and taking down exhibits. An installation contractor is the individual or company who supervises and coordinates the workers that install and dismantle trade show exhibits. 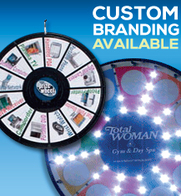 Inventory is the amount of equipment and materials available for a trade show. An island exhibit has aisles on four sides. A jigged crate has special hardware that secures exhibit materials so they do not shift during shipment. A job foreman coordinates and supervises trade show workers. Junction boxes are distribution points for the production of electricity. A K.D., or knockdown exhibit, has several components requiring on-site assembly. See the term Service Kit. Labor is work done during regular working hours at a standard rate of pay. Overtime and double time labor is work done outside of regular working hours. Depending on facility or union policy, overtime and double time labor is billed at 150% and 200% of the regular rate. (1) Labor call is a system for hiring union employees. (2) Labor call is a specified time for labor to report for work. (3) Labor call also entails a minimum amount of time for which labor payment is required. Exhibitors at a trade show may order labor at the labor desk. An exhibitor fills out a labor form to order labor. Lamination permanently or semi-permanently bonds substances together. A lead recorder is the system for conducting follow-up with sales prospects from a trade show. Less than truckload, or LTL, is the set rate charged for freight that weighs less than the minimum weight specified. Letters of credit, also called L/C, are issued by banks to buyers to authorize payment of specified amounts to sellers after meeting certain terms. Liability is a legal term meaning responsible for injuries or damage. Light boxes contain special lighting shining under a translucent material, often used in back-lighting. A linear, or in-line display is an exhibit set up in a long straight line along an aisle. The loading dock is the area designated for shipping and receiving freight. 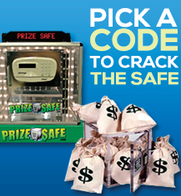 The lock-up is a secure storage area of a trade show facility. Logos are the designs, artwork, or stylized type that represents the name of a company. Low voltage, commonly used in specialty lighting and animation, is electrical current measuring 24 volts or less. Machinery handling involves shipping machinery with appropriate points, skids, lifting bars, or hooks movable on or off a loading dock or other vehicle by a forklift with no special handling. See the term, Exhibitor Service Manual. The marshaling yard is the area where trucks wait for dispatch. Truck drivers check-in with a trade show facility and then proceed to the marshaling yard to wait for loading and unloading instructions. TMasking means covering an area while painting to protect the area from paint splatters. Masking drapes are cloths that cover storage areas. Material handling involves the process of storing, unloading, delivering, handling, and removing booth materials at trade shows. The Material Handling Agreement (MHA), or Bill of Lading, sets the terms between shippers and transportation companies for transporting goods for a fee. A modular exhibit is built with interchangeable components able to be set up in different sizes and arrangements. The move-in date is the date a trade show allows the start of installation of exhibits. The move-out date is the date a trade show allows the dismantling of exhibits. Multimedia means combining different kinds of audio/visual support during a trade show presentation. The net square footage is the amount of booth space leased at a trade show. O.T. labor, or overtime labor, is worked performed outside of regular work hours. On-site, or at-site, is the exhibit location. An on-site order is a floor order placed at the trade show site. Overtime is work performed outside of regular work hours usually at a higher rate of pay. See the term Shipping Case. A packing list contains an itemized list of the contents of a shipment. See the term Blanket Wrap. Padded van shipments are uncrated goods shipped via van lines that are covered for protection by blankets and padding. A panel system consists of connected panels of different sizes. Particle board is made of compressed and glued wood chips. Peg board is full of holes used for hanging items. A peninsula display exhibit has aisles on three sides. Perimeter booths are located on outside walls. With pipe and drape, tubes are covered with fabric to make curtained walls. A podium is a raised speaking or demonstration platform. 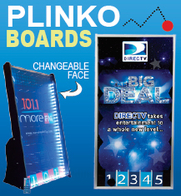 A pop up is a portable display with pop up framing that opens and contains graphics and attaching panels. A portable exhibit is light and does not require a forklift to be moved. Power strips contain multiple electrical outlets. Prefab exhibits are pre-built and ready to install. A press kit is a folder of product announcements, press releases, and other materials for release to the media. A press release is a news announcement sent to the media announcing news about a company. Pro Forma Invoices provide a detailed list about goods to the buyer prior to shipment. (1) Exhibit producers are individuals or companies that design and build exhibits. (2) Show producers are individuals or companies that manage trade shows. Pro-numbers are assigned by carriers to specify a shipment. A quad box contains four electrical outlets. A raceway is a metal or insulated rubber tube that channels electrical wires. A short wall that divides exhibits is called a rail. Rear illumination, also called back-lighting, involves lighting a translucent image from behind. With rear projection, video or still images are projected on screen set up between the audience and the projector. To refurbish means to repair or recondition a booth or exhibit to make it last longer. A relay is a device that interrupts the flow of electrical current to produce programmed effects. Release forms are signed to allow the removal of exhibition materials. 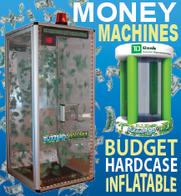 A rental booth is an entire trade show booth package rented by exhibitors. Return panels are side panels that join perpendicular to backwalls. Rheostats, or dimmer switches, regulate the intensity of lighting. Workers who handle and assemble machinery are known as riggers. A right to work state allows a person to work regardless of whether he or she belongs to a labor union. A riser is a platform. A schematic model is a diagram drawn in model form. A scissors lift is a motorized platform that can lift people to a certain height. A scooter is a gas or electric cart used in transporting people and materials at a trade show facility. Scrim fabric is opaque when lit from the front and transparent when lit from behind. Security cages provide a secure place to lock up materials at a trade show. Self-contained exhibits use the shipping case as part of the exhibit. Exhibitors can order special services at the service desk. Service kits, or exhibitor kits, contain vital information and order forms for exhibitors. Set up, also called assembly and installation, means building an exhibit. Set-up drawings provide instructions for installing an exhibit. Reusable shipping cases transport exhibit materials. Shipping crates are wooden containers used for transporting exhibit materials. Show breaks are the periods of time between the close of a trade show and the dismantling of exhibits. The show decorator is an individual or company that provides the carpeting, signage, and draping for trade show exhibits. Show managers organize and operate a trade show. The management of a trade show works from the show office. The show photographer takes pictures at an exhibition. The show producer is an individual or company responsible for leasing, hiring, promoting, and managing a trade show. Show rules are the guidelines governing a trade show. Shrink wrap is transparent plastic used to seal materials. Side rails are short divider walls, often made of pipe and drape, used to divide exhibit space. A sign standard is a frame on a stand that allows a sign to be inserted. In silk screening a reusable stencil is used to create graphics. Skids, or pallets, are wooden frames that support heavy objects, typically used as platforms for objects being moved by a forklift. The decorative fabric around tables and risers is called skirting. A soffit is the low portion of a ceiling. Space is the area taken up by an exhibitor at a trade show. Space rate is the cost of space per square foot at a trade show facility. Special handling fees apply to shipments that require extra equipment, labor, or delivery time. Spotlights are lamps that produce a circle of light. The staging area is used for demonstrations at a trade show. Stanchions are posts that support signs and elevated objects..
A stand is the European term for a booth. Stock exhibits are predesigned exhibits. Subcontractors are individuals or companies hired by a general contractor to provide services for a trade show. See the term Time & Materials. 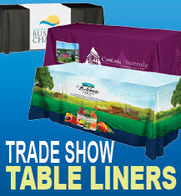 Exhibits designed for display on the top of a table or counter are called a table top display. Talent refers to an individual or company hired as greeters, product demonstrators, or entertainers at a trade show. The target date is the date freight is scheduled to arrive at a trade show. Shipments received before or after the target date are usually subject to a fee. Tariff rates are the shipping charges for different types of cargo. Teardown, or take-down, involves the dismantling of an exhibit. Telescopic pipe is tubing used to support drapes where one part slides inside the other. The terminal is the dock or freight handling area. An electrical cable containing a continuous ground wire along with a positive and negative wire is called a three wire. With time and materials billing, an exhibitor is charged for the time of labor and the cost of materials. Trade fair is the international term for trade show or exposition. A trade show is an exposition pertaining to particular group. 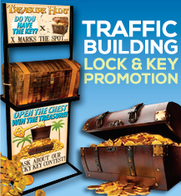 Traffic flow is the ease of moving visitors throughout a trade show. Transient space is space rented for a short term. A truss is a rigid frame of wood, aluminum, or steel bars that supports a structure. Turnkey packages offer a discount on booth packages already containing decorative materials, furnishings, and displays. Twist lock electrical plugs connect by twisting. U.L., or Underwriters Laboratory, is an organization granting electrical ratings. A union is an organized group of workers who protect the rights of workers and increase the bargaining power with employers on the issues of hours, benefits, and wages. A Union Steward, or Shop Steward, is a union official who stays on-site to oversee a union’s work in a trade show facility and works to resolve disputes about union jurisdiction. V.A.T., also known as Value Added Tax, is a tax added to the price of a product that reflects the value added to the product through processing. A valance is an overhead baffle or banner. Velcro is the trade name for hook and loop fabric closures that join when pressed together and separate when pulled apart. Wallboard is a product used for constructing temporary panels. A warehouse receipt details goods received into storage. Waste removal involves removing trash from a trade show facility. Wharfage is a fee paid for cargo handling at a pier. Work rules are guidelines specifying the conditions of a worker’s labor, work hours, and pay. Work time is the amount of paid time beginning when workers report to an exhibitor that end when released by the exhibitor. The condition of a booth two hours before the show opens!